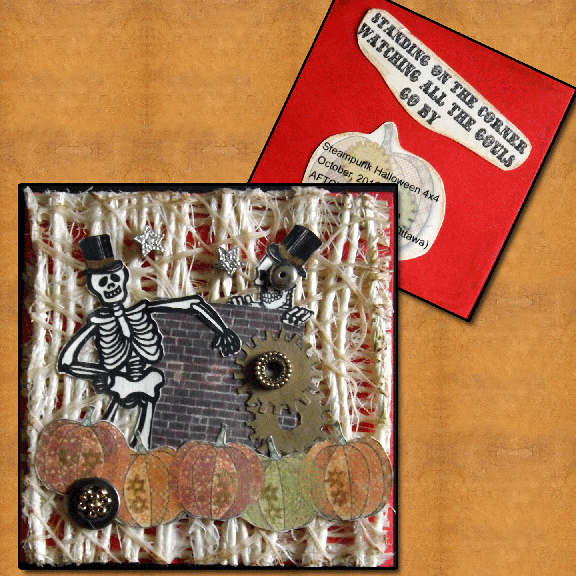 This little 4×4 card was done for a swap with the Art For the Creative Mind Yahoo group. 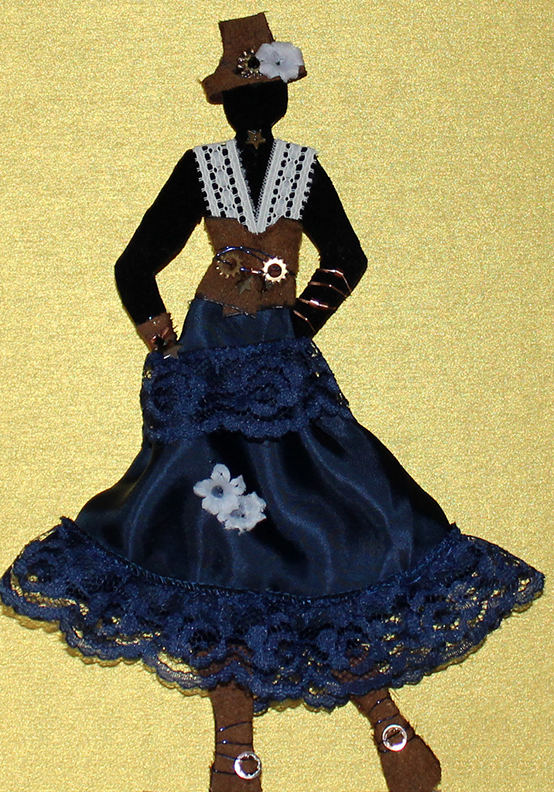 It joins both steampunk and Halloween styles. The background was made with twine glued to a red background. Two old skeletons are just lolling on a brick wall. The pumpkins were sketched and filled with a plaid background, then gears were added. The brick wall is from a local heritage building. Of course the old gents had to have top hats and one has part of a pair of goggles in keeping with the steampunk theme. They were fun to make and when put together that is when the old song came to mind. The skeletons were clip art which I removed part of the art to create the fellows I needed. A fun piece to create.